With over 25 years of industry experience, Michael Clancy specializes in helping clients seek to build greater financial security. As a values-driven advisor, he dedicates his expertise to crafting truly comprehensive strategies for investors across all stages of life. 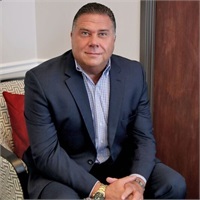 Throughout his career, Michael has followed the old maxim of working with a “clean heart and dirty hands.” An entrepreneur in the financial industry for several years, he worked at a variety of different financial companies before establishing his own firm, Provision Financial. He founded the firm to give clients more personalized advice and recommendations that were in the clients best interest. Michael has completed all of the requirements for the CERTIFIED FINANCIAL PLANNER ™ (CFP®) program through Oakland University. He currently holds his FINRA Series 7, 63, 65 & 24 registrations through LPL Financial, along with his Life, Health and Accident, Property and Casualty and Variable Contracts licenses through the state of Michigan. Since selecting LPL Financial as his broker-dealer, Michael has qualified for several consecutive years as a member of the Director's Club programs, which is based on annual production among approximately 14,000 advisors registered nationwide. Outside of the office, he enjoys serving in ministry and spending time with his family and two grandkids. Michael also enjoys reading different political and historical books, which in turn enhances his understanding of economic trends and how it relates to current times.